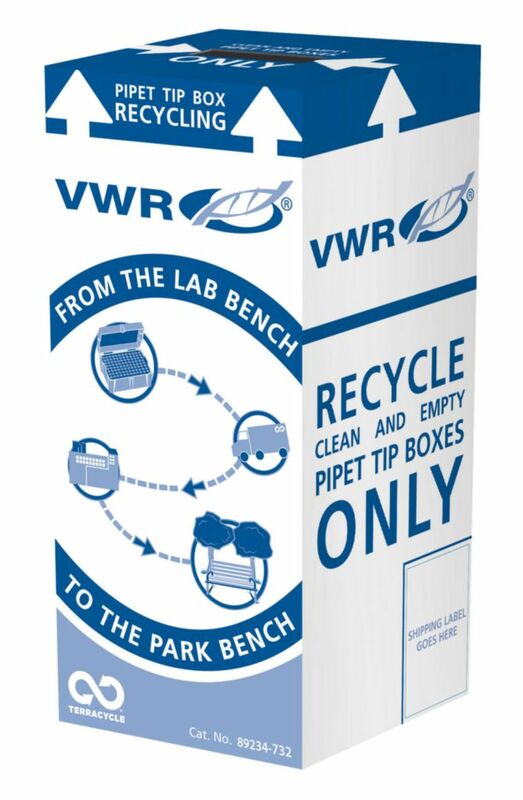 This easy-to-use recycling program provides a complete waste collection, shipment, and recycling solution for used pipet tip boxes, from the lab bench to the park bench. All brands of plastic pipet tip boxes are accepted. The plastic waste is ground, melted, and pelletized through extrusion by TerraCycle to create recycled resin. The resin is then combined with other recycled plastics to make park benches and other eco-friendly products. TerraCycle will process every pipet tip box that is received. 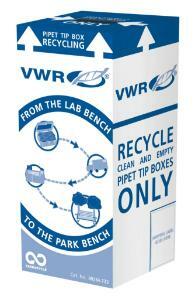 Each collection box holds up to 113 empty pipet tip boxes and can be placed at convenient locations in your lab. When full, simply add the collection box to outgoing mail. Each box has a pre-paid UPS shipping label. Typically made of #5 plastic, pipet tip boxes are rarely accepted by curbside recycling programs and have become part of a significant waste stream to landfills and incinerators. According to 2010 solid waste statistics published by the EPA, an average of 2.4 pounds of waste is sent per person to landfills each day. This program offers a convenient opportunity to recycle an abundant source of waste found in every lab, divert hard-to-recycle plastic from the waste stream, give waste new life, and no longer pay to have discarded pipet tip boxes hauled to the landfill. Ordering information: Each 2½ W x 24½ L x 40¼ H master carton includes five 12W x 12L x 27H in. TerraCycle collection boxes. The sturdy collection boxes, made of double-corrugated cardboard, come with simple assembly instructions.